Here is the white whale of Copenhagen Beer Celebration 2014. Cigar City's Hunahpu's Imperial stout is so legendary it used to have it's own release festival (until a bunch of jerks ruined it with douchbaggery). Anyway this is the double barrel edition, which means they put the legend in rum barrels and apple brandy barrels, then blended them 50/50 into one ridiculous beer. I knew this would be the beer everyone went after as soon as they went through the door, and after a little birdy whispered in my ear at the entrance, I knew I should do the same. Thanks to the snafu with armbands at the entrance when I got inside it was not very crowded, and I was able to almost walk right up to Cigar City's stand. I simply said "double barrel", but to be honest the person pouring already had their hand on that handle anyway. I took my ice cold glass over to a bench in order to properly savor it and give it the consideration it seemed to deserve. Obviously pours a completely silky black, with the consistency of syrup. Lots of sweetness and woody vanilla character with some spicy notes and dried apple. Smells like chocolate vanilla ice cream on a slice of apple pie. I couldn't wait for it to warm up to start taking sips. Besides I figured less volume will warm up faster, right? It's like drinking liquid apple pie with vanilla chocolate fudge and a hint of cinnamon. The characteristics of the spice from the rum and the apple character and even more spice backing it up gave this beer an amazingly complex taste. Plenty of sweet dark malt masquerading as melted chocolate and subtle hints of flavored coffee. The body is very silky and sticky with a soft carbonation, as most BA beers should have. Only some slight alcohol notes as it warms but those at least make it slightly less scary drinkable. This beer is like candy, in a good way of course. I knew this beer would be good, but I am always a bit skeptical of these massively hyped up beers. I can say this one lived up to all the promises made by the beer nerd buzz machine. Probably the best use of barrel aging I have ever experienced. After a statement like that I am sure you can guess my rating. 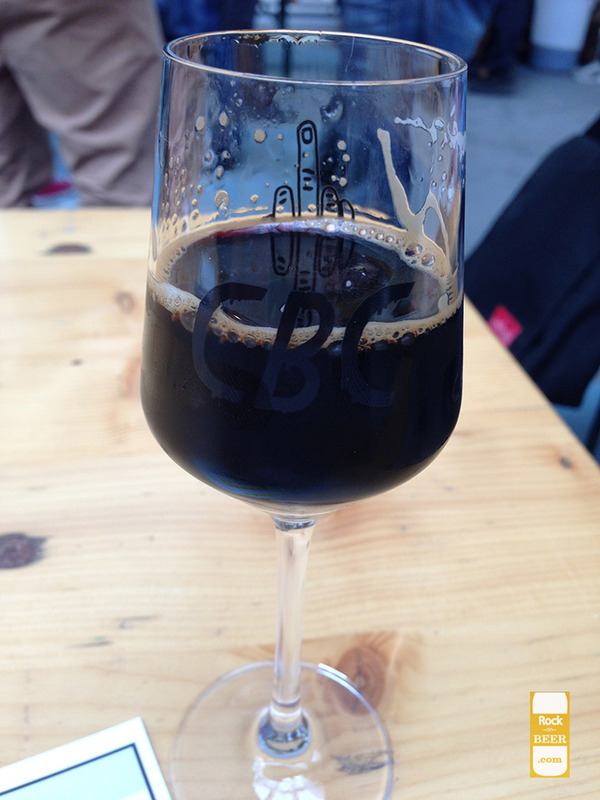 A perfect score for a perfect beer and it takes my favorite beer of the entire CBC 2014 festival. I hope everyone who attended yellow session got to give it a try.